ATMs around the world are under a major risk of fraudulent cash withdrawals. This type of attack is called "ATM cashout" and this particular plan has been detected by US' premier investigating agency, FBI. The attack is aimed at ATMs from different banks. The massive heist is expected to take place with the help of cloned cards. The payment processors of various banks might also be hacked to gain easy access to the cash. Reliance Jio seems all set for an entry in the broadband, cable TV and direct-to-home markets, courtesy of its new venture, JioGigaFiber. The registration for JioGigaFiber will start on August 15. "Starting this Independence Day, August 15th you can start registering your interest for JioGigaFiber through both MyJio and Jio.com," said Mukesh Ambani at company's 41st Annual General Meeting. 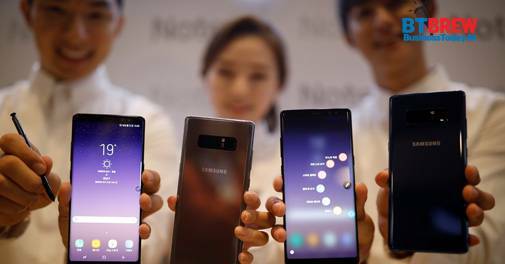 The Indian smartphone market in the April-June quarter saw varied results carried out from several market research agencies. IDC, in its report released on Monday, declared China's Xiaomi as the formidable leader with a commanding share. A separate report by analyst last month had put Xiaomi just ahead of Samsung. However, Counterpoint chose Samsung as the leader for the second quarter. But what is inevitable from these reports is that both Xiaomi and Samsung are dominant leaders in the India's smartphone space.